We leave this room with minimal furniture so that we can better adapt it to your needs. Read below for how we can make this space work for your group! Build business during the day and team bonds at night! 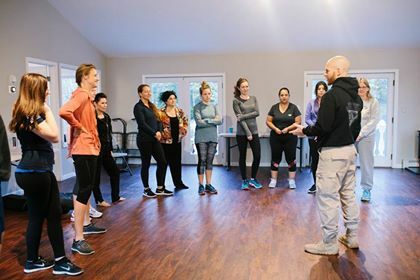 Our large open indoor event space can be configured to accommodate business meetings and networking events, as well as converted for personal growth, yoga, self-defense and more. Corporations also use our large living room and sun kissed room for break-out sessions. Feel free to use any of the facilities on the grounds, such as our hot tub, pool and grill area. This home is a definite unique way to host your event with a fun and relaxing spin. All parties and celebrations are welcome. Please feel free to contact us about your event and inquire about how we can help and make your event possible! Corporations and Non-Profits host their events with us year after year. Our open Event room can be tailored to your needs so please let us know how we can assist you. Tables and chairs available for your use and can be preset. A HI-SPEED INTERNET MESH NETWORK provides coverage within the home and on the grounds. 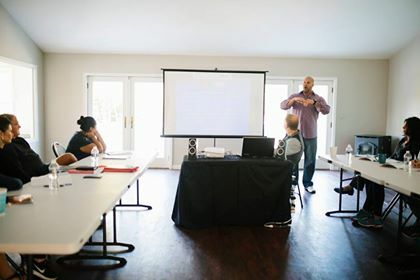 Large screen TV 's in the Event room and Living room are perfect for presentations. 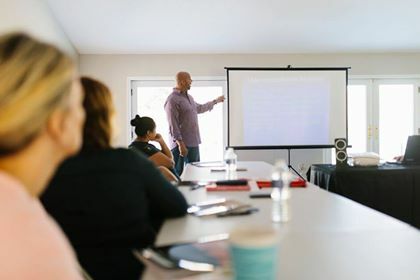 We offer recommendations for additional services to make your stay more productive: personal chefs, catering services, yoga and self-defense instructors, cleaning services and more. ​We are here to assist you before and during your stay. 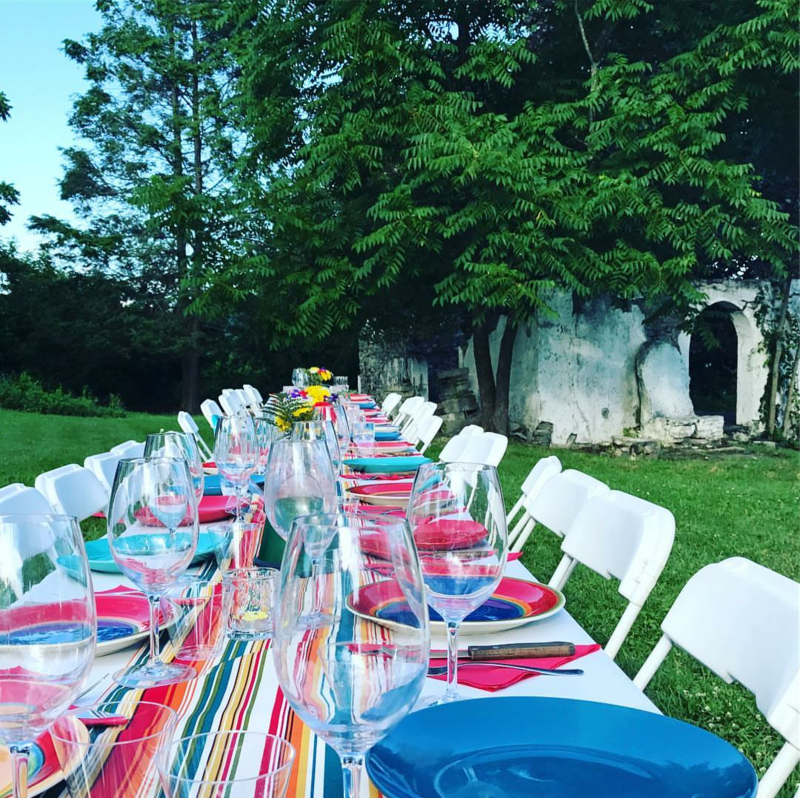 For events at our home, we work with a few photographers, entertainment companies, caterers and party rentals in the area. If you are interested in hosting an event at our house and would like to use our recommendations, please let us know. Of course, you are welcome to use your own event specialists, these are just recommendations of some local people with some good vibes! Your wedding should be perfect and it is our mission to offer an unique, warm environment to hold your event on your precious day. It is our mission to be able to give personalized attention and help transform our home into your dream home. We want you to return again and relive the extraordinary memories of your unforgettable day. Couples book our home for their wedding because it offers everything to ensure that your special day is memorable. We have a very large party room that holds 75 people. So, come rain or shine, nothing will dampen your special day. With over 7,000 square feet, you and your guests can roam the living room, dining room, and family rooms, as well as enjoy the beauty of our private grounds. Our open outdoor spaces have several unique features. For example, our front yard has a cherub stone fountain and is a fantastic spot to have your picture taken. Outside, our beautiful grounds can easily be set up for the most memorable weddings. One of our most popular spots is under the apple trees. There is ample space on the lawns for tents for an outdoor wedding or reception. Currently, we allow weddings of up to 75 people. ​Our grounds are yours to fully explore. We have a fire pit, campsite fire pit, 5.5 acres, balconies and decks, meadow and tree areas and a barn. In addition, we have ample parking for your guests and vendors. Please check out our FAQs page to get answers to frequently asked questions. ​​Each package is customized and tailored for your needs. Packages can include the day of event as well as a rehearsal dinner and Sunday brunch. Please send us an email and we would be happy to provide you a quote for your special day.